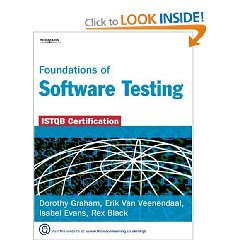 I just appeared for ISEB / ISTQB foundation certificate examination in Software testing and passed it with 87.5%. Moreover, couple of friends also cleared the certificate examination with flying colors. As ISEB exam is conducted through Prometric centers, you can get your results right after the examination. I would like to share my experience with ISEB / ISTQB software testing certificate examination. This book was my starting point to prepare for the examination. This is good for all those software testers who have not really got a chance to go through text books on software testing in past but have practical exposure to software testing. Yes, many of us directly get into job on our college graduation and learn software testing through organizational trainings or other means. For such candidates, getting the hands on software testing concepts is very essential and this book can help you in your efforts. 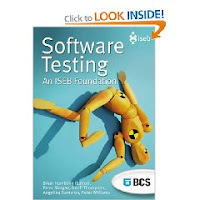 This book will clear all your concepts about software testing and mainly the knowledge required for passing ISEB Certification in software testing. I would suggest that you read this book 2-3 times, and you are certain to get 80% or more marks in ISEB exam. They have covered each key area in detail and most of the question that I faced in the exam were covered in this book already. There are some interesting software testing books I have reviewed in past which have been useful for my knowledge in Software testing.